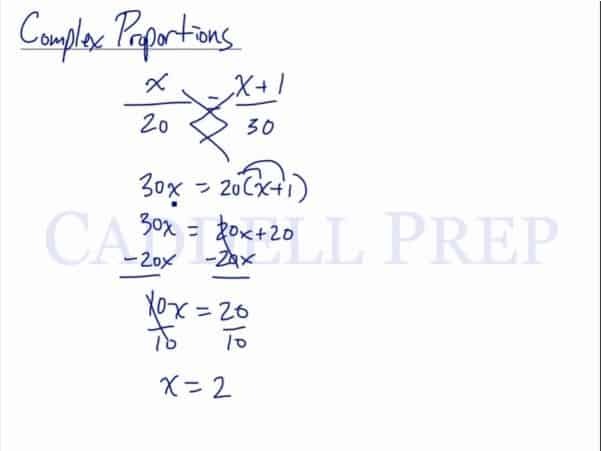 In this video, we will be learning how to solve complex proportions (variables on both sides) using cross-multiplication. Let’s go over complex proportions. What makes this complex is that we have one variable on both sides of the equation. We’re just going to do the same method which is to cross-multiply. To solve the equation on the right, we have to distribute on each of term. Let’s get all the variables on one side by subtracting on both sides. Simply solve by dividing both sides by . Complex proportion is different from regular proportion because it has a variable on both sides of the equation.